Vitamin C is one of the most popular vitamins used for its antioxidant abilities and immune support in humans. Since humans cannot produce vitamin C, we must get it from our diet. Unlike humans, dogs’ bodies can produce vitamin C. In spite of this, my experience has taught me that there are many reasons to supplement a dog’s diet with vitamin C. Let’s take a look at some of the benefits of vitamin C supplements for dogs. A study of vitamin C supplementation for dogs found that vitamin C supplementation had therapeutic benefits for dogs who were suffering from the canine distemper virus(1). Dogs are exposed to toxins in commercial dog food, vaccines, and certain plastic chew toys. They also can be exposed to pesticides, fertilizers used in grass, contaminated water, and environmental pollution. Vitamin C can help combat free radicals in the body often present from toxin exposure and regenerate antioxidants(2). It can also act as a free radical scavenger. Vitamin C plays a role in boosting the health of collagen, which is essential for maintaining joint health. This can make vitamin C a great supplement for dogs suffering from any type of joint disease. Holistic veterinary pioneer Dr. Richard Pitcairn advises giving 100 – 500 mg of vitamin C daily, depending upon the animal’s size. More may be warranted depending upon the individual dog’s health status. Since too much vitamin C can cause diarrhea, begin with a conservative amount and increase slowly. If your dog shows signs of digestive upset, reduce the dose. I prefer Ester C, a buffered, pH neutral form of vitamin C. Unlike ascorbic acid, which can be hard on the stomach, Ester C is primarily composed of calcium ascorbate. 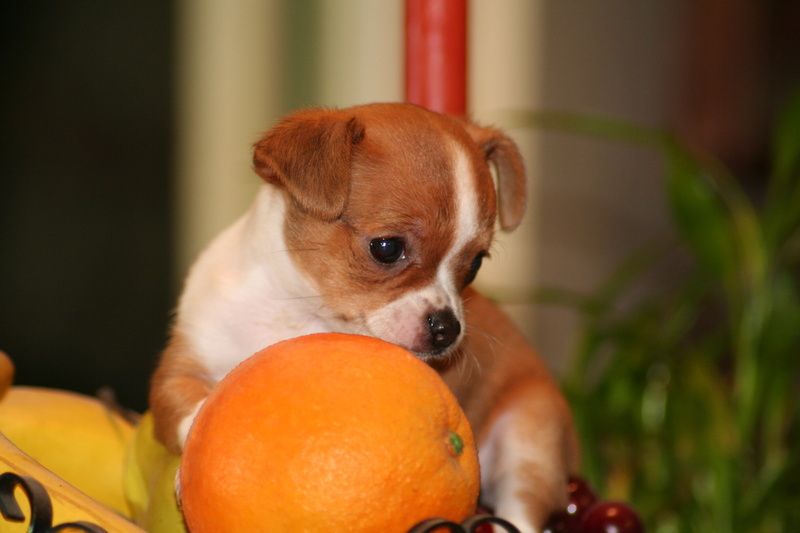 Vitamin C supplementation for dogs is a great way to support the immune system. It can help fend off free radicals, battle infections, decrease inflammation, help defeat cancer, promote joint health and give the body a boost during times of stress. 2) Vitamin C. Properties and Metabolism. Retrieved January 3, 2018 from https://www.dsm.com/markets/anh/en_US/Compendium/companion_animals/vitamin_C.html.